I'm doing a series on the professionals of classic Hollywood's Poverty Row for the e-mag Noir City. My first installment was on the career of the underrated John Reinhardt (THE GUILTY, OPEN SECRET). My latest piece is on William Castle. He's best known today for the flamboyant gimmicks he used to sell his schlock horror movies in the fifties and sixties, but in the forties he'd down a lot of work on Poverty Row and in the B-units of some larger studios. He gave us one of the first film noirs in the class of 1944 (WHEN STRANGERS MARRY), apprenticed under Orson Welles on THE LADY FROM SHANGHAI, and produced several other good examples of noir before moving on to fame and fortune as a self-crown master of the macabre. 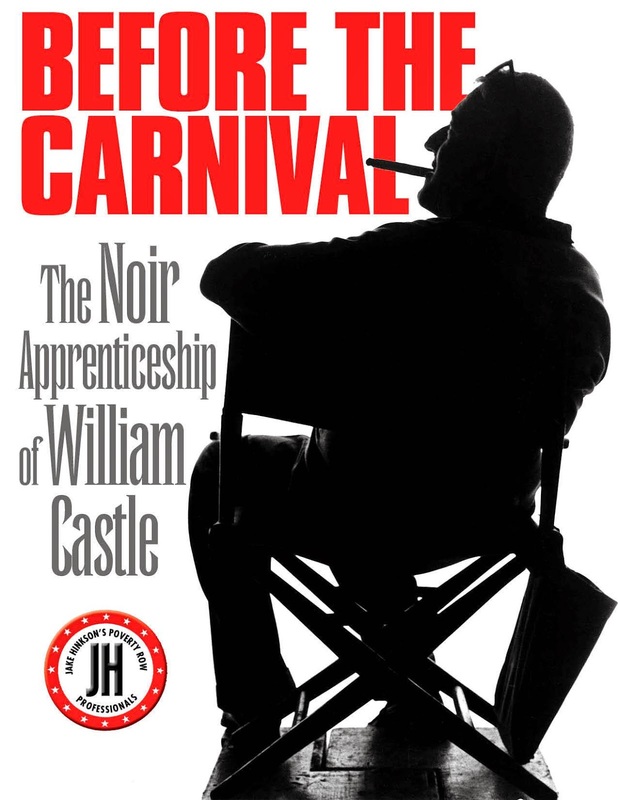 You can check out my article on Castle by getting Noir City.